Zooplankton are animals that live all or part of their life as plankton (from the Greek word for “drifting”) suspended and drifting in fresh or salt water rarely, if ever, coming in contact with hard surfaces. 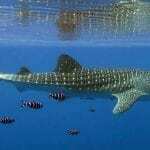 They are generally either very small animals (and therefore weak swimmers) or large but soft-bodied (and also, therefore, weak swimmers) that are of swimming long distances or against currents like fish, squid, or marine mammals. 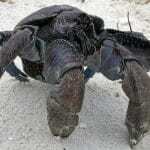 These include a wide range of animals, from primitive protozoans to the larvae of more complex animals and range in size from microscopic organisms to some of the longest animals in the sea. Zooplankton live virtually everywhere in the ocean, but the largest number are in the upper ocean, where there is enough sunlight to support phytoplankton, the first link in the food chain and food for many zooplankton. Most zooplankton spend their entire lives drifting, but the larvae of many fish and bottom-living animals, before they develop adult forms, are also part of this group. A major category of zooplankton is crustaceans, both the larval form of larger animals such as crabs and shellfish, and smaller, floating crustaceans that are an abundant and critical food source for larger animals. Another major category is the gelatinous zooplankton or jellies, unrelated groups that all have soft, transparent bodies and spend much of their life drifting in the water column. Included in this group are jellyfish and comb-jellies (see below), plus some worms, mollusks, and chordates. The smallest zooplankton are single-celled protozoans, also called microzooplankton, which eat the smallest phytoplankton cells in the ocean. In turn, microzooplankton become food for larger animals. This next level includes small crustaceans that eat phytoplankton and microzooplankton. These, especially copepods, which range in size from nearly microscopic to about a half-inch, and the shrimp-like krill, are he most abundant multi-celled animals in the sea and are critical food supplies for fish and baleen whales. 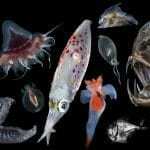 Even large zooplankton, some more than a foot long, consume microbes. 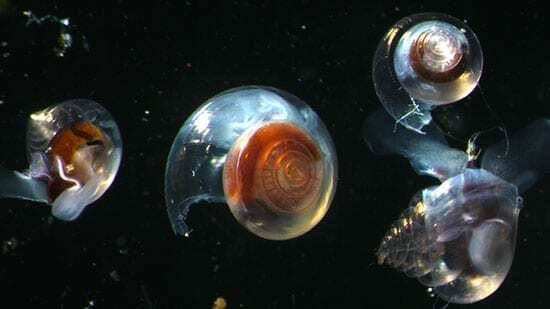 Some planktonic snails, called pteropods, and also planktonic tunicates (a sub-group of chordates that includes salps and related forms) filter or catch single, floating cells and other particles in the water using mucus-lined structures. One characteristic of many zooplankton is a pattern of movement called diurnal vertical migration. Many species, though weak swimmers, migrate hundreds of meters deep during the day to avoid predators and return toward the surface to feed on phytoplankton and microzooplankton at night. As a result, many other parts of the food chain also follow this daily migration pattern. Jellyfish are a type of zooplankton that both drift in the ocean and have some swimming ability. Hundreds of jellyfish species live in every part of the ocean and belong to the same animal group as corals and sea anemones. Soft-bodied, fragile, and often transparent, jellyfish often look like umbrellas or bells with tentacles around the edge or hanging from the center. This shape is called a medusa, because it reminded people of Medusa from Greek mythology. The smallest medusae are barely visible; the largest are more than one meter across. Jellyfish swim by pulsing their bells. They also have only primitive organs and nervous systems, and no hard body parts. They are, however, predators that catch plankton and larval fish with stinging cells on their tentacles. Most aren’t harmful humans beyond providing an uncomfortable sting, but a few species can be deadly. Jellyfish have an unusual reproductive that produces different life forms between stages. 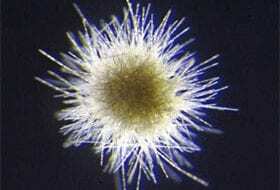 The planktonic medusae release larvae that grow to become bottom-living, plant-shaped polyps. 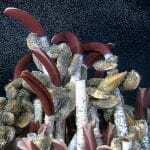 Each polyp then produces many medusae and the cycle repeats. 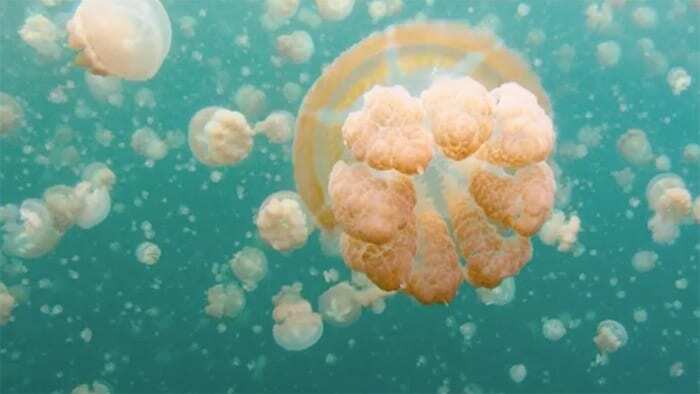 Dense jellyfish populations have recently caused declines in fish larvae, ruined fishing nets, and clogged seawater intakes. Some people speculate that warming oceans are behind these swarms and may lead to more in the future, but scientists recently reported that available evidence doesn't support the idea. 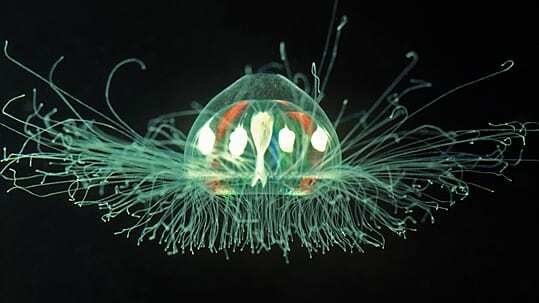 Other jellyfish are not medusae, but colonial animals called siphonophores, conglomerates of attached individuals with bells and stinging tentacles. Some are notorious for painful stings, such as the surface-living Portuguese Man-o'-War. 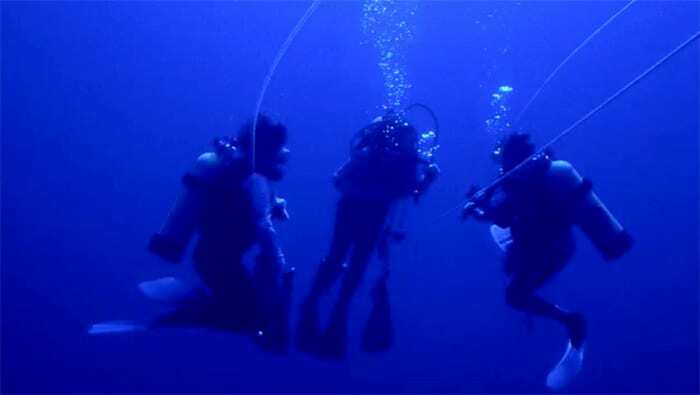 Others grow longer than whales: Scientists have recorded a 130-foot long specimen hundreds of meters below the surface. Comb jellies are another member of the jellies group and are very similar to jellyfish. Named for comb-shaped paddles on their bodies that they use to swim, comb jellies are soft, round, and transparent. They are also predators, but don’t sting, instead capturing prey with sticky secretions. Ocean food chains are often shorter and less diverse than those on land, so each link is essential to the whole. Zooplankton fill a crucial link between phytoplankton (“the grass of the sea”) and larger, open-ocean animals. Tiny copepods, krill, and pteropods are food for larger plankton, fish and even whales. If the abundance of these tiny creatures should decline, the consequences for large ocean animals would likely be sudden and severe. In certain areas, especially polar regions, scientists are studying how climate change will alter ocean ecosystems by investigating links between ocean properties such as temperature, the seasonal timing of phytoplankton and zooplankton growth, and fish and whale populations. Both salps and krill also live in the Southern Ocean near Antarctica, and both feed directly on the great abundance of phytoplankton there. Scientists think that the extent of sea ice and the temperature of the ocean each year may influence the balance between salp and krill populations. When there is more sea ice, krill populations seem to thrive and salps do not; when there is less ice, salp populations increase and krill are less abundant. 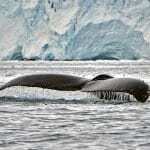 Krill are the main food for fish, whales, and seabirds in the Antarctic. Unfortunately, the gelatinous salps have much lower nutritional content and therefore are not good food for those higher-level animals. 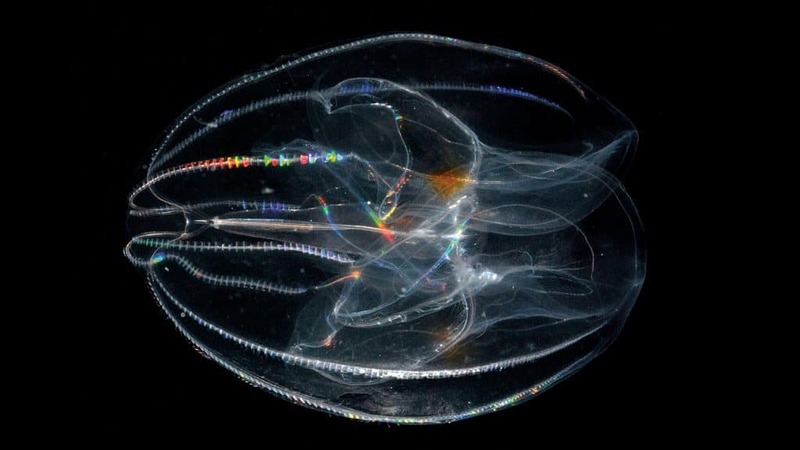 Small, shelled plankton, such as pteropods, that are an abundant and important source of food for fish have also become an important indicator of potential widespread impacts from ocean acidification. 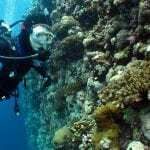 As the level of carbon dioxide in Earth’s atmosphere rises, the ocean’s pH—a measure of alkalinity and acidity—has fallen, meaning that it has become less alkaline and more acidic. 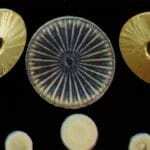 As this happens, the concentration of calcium carbonate ions that the animals use to form their shells decreases. If the pH continues to fall, then their shell material they have been able to form may actually begin to dissolve. The rise in coastal and introduced jellyfish populations can also have serious impacts on local fish stocks. Large numbers of jellyfish can consume large numbers of fish larvae, including the larvae of many commercially important species. As a result, there are fewer adults of those larval fish and often fewer of those animals that rely on the larvae and adults for food. Bacteria in the ocean, including pathogenic ones, often hitchhike on tiny crustaceans called copepods. A graduate student explored their complex relationships. 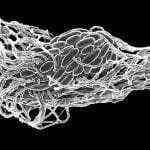 In July 2013, Mary Carman, a researcher at Woods Hole Oceanographic Institution, was diving in Farm Pond on Marthaâs Vineyard when something that felt like hypodermic needles stung her face. Tiny. Ubiquitous. Vital. Delicate. Vulnerable. Join researchers as they search for salps and other polar life.